As anglers and hunters, we know that quality habitat is the key to quality fishing and hunting. We also know that many of our best fishing opportunity in this country are found on public lands - especially our national forests. We now have a good opportunity to better protect some of California's best backcountry fishing and hunting opportunity. The Forest Service is seeking public feedback on the agency's preliminary Wilderness Evaluation and Wild & Scenic Rivers Inventory for nearly four million acres of National Forest lands in the eastern and southern Sierra Nevada. The final evaluation and inventory will be included in the Forest Plan Revisions for the Inyo, Sequoia, and Sierra National Forests sometime later in 2016. Trout Unlimited urges all sportsmen to weigh in on this process and support permanent protection of some of our most scenic and sensitive backcountry areas. Fishing and hunting are allowed in all designated Wilderness and Wild and Scenic River corridors. These designations are good for fishing and hunting because they strenghten protections for high value habitats (i.e., headwaters and alpine meadows). The good news is that the Forest Service has significantly improved its evaluation of potential Wilderness and inventory of potential Wild & Scenic Rivers from last year, based in part on input from Trout Unlimited. The evaluation and inventory will be the basis for any recommendations the agency may make in the Forest Plan Revisions to ultimately provide permanent protection for some of the best fisheries in California. This won't happen unless the public demonstrates its early support for protection for these scenic and sensitive areas, including strong support from sportsmen. All river segments determined eligible must be managed as such by the Forest Service until officially designated. Interim management direction will be included in our forest plans to protect the segment's free flow, water quality and outstandingly remarkable values. This includes more stringent forest use guidelines on grazing, logging and other practices that can compromise the rivers' remarkable values. *Wild and Scenic designation DOES NOT prohibit or reduce stocking for recreational fishing, or preclude recreational fishing. The Forest Service has identified nearly 1.5 million acres of land in the Sierra, Sequoia and Inyo as having Wilderness qualities and is now consideringapproximately 495,000 acres for potential Wilderness designation. 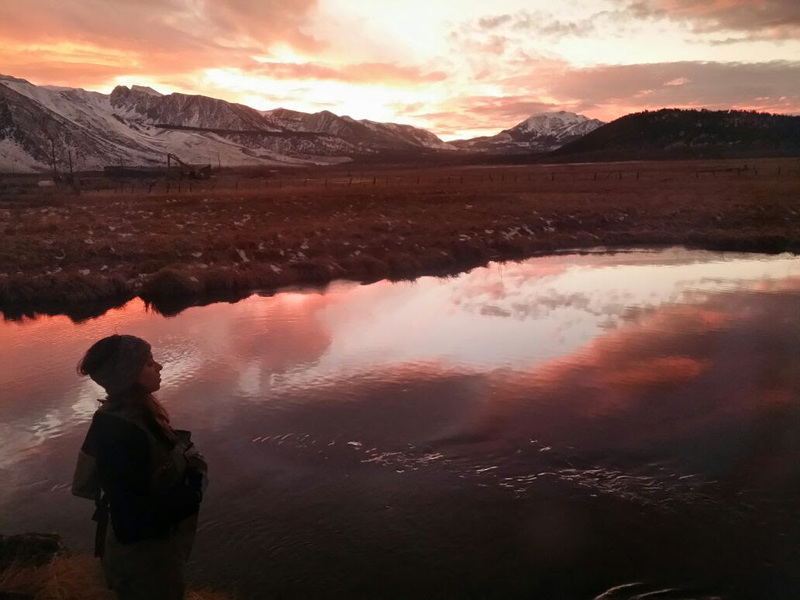 Expansions to the existing Domeland, Golden Trout and South Sierra Wilderness areas on both the Sequoia and Inyo Forests - all important headwater areas for CA golden trout and Kern River rainbow trout. Important additions to the existing Monarch Wilderness on the Sierra and Sequoia Forests which will protect water quality and biotic integrity of the Wild & Scenic Kings River. Scenic additions to the John Muir and Dinkey Lakes and Devil Gulch Wilderness that would help protect much of the Wild & Scenic South Fork Merced River on the Sierra National Forest. *NOTE: Areas considered for new Wilderness are largely or entirely roadless -- Wilderness designation will not eliminate or reduce access to these lands. "It is hereby declared to be the policy of the United States that certain selected rivers of the Nation which, with their immediate environments, possess outstandingly remarkable scenic, recreational, geologic, fish and wildlife, historic, cultural or other similar values, shall be preserved in free-flowing condition, and that they and their immediate environments shall be protected for the benefit and enjoyment of present and future generations." The Wilderness Act, signed into law in 1964, created the National Wilderness Preservation System and recognized wilderness as "an area where the earth and its community of life are untrammeled by man, where man himself is a visitor who does not remain." The untrammeled nature of wilderness often provides some of the best hunting opportunity while also serving to protect the headwaters of our favorite rivers.